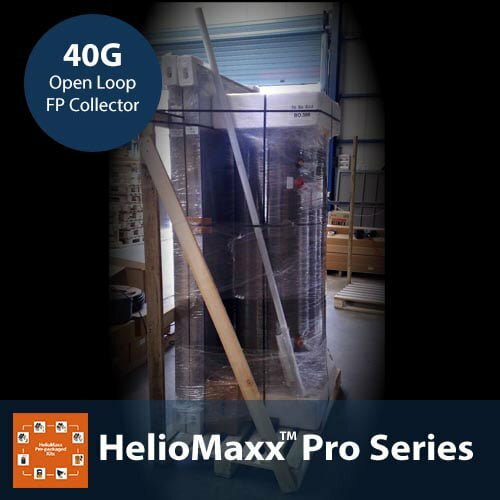 SKU: Heliomaxx-PRO-OL-30-FP-40G-SE. Category: Pre Packaged Solar Thermal Systems. This 80G closed loop / glycol system is ideal for warmer, southern climates where freezing temperatures are not a regular concern and will provide enough hot water each day for a household of 1 to 2 people. we deliver the best products at the best price guaranteed.